Knowledge Society (KS) is influenced by Information and Communication Technologies (ICT), economic changes, political, cultural and social concepts allowing access to other levels of welfare and progress. However, the differences in terms of access and ICT skills between different groups in society have created a problem of digital divide. To overcome this problem, models and strategies are required to achieve a greater impact on the population and that population can develop skills that enhance inclusion in the society knowledge. This work proposes an Interactive Ecosystem of digital literacy that aims to set a new educational paradigm approach to encourage different learning communities to uses new technologies of information and communication that allows them to be more competitive in today's world and thus shorten the digital divide. Finally, a case study is shown as an implementation of the ecosystem throughout an architectural model in the state of Aguascalientes, México. There is a new society based on the use of Information and Communication Technologies (ICT) called the knowledge Society, which according to Alzate (2000) under its influence economic, political, cultural and social concepts are modified. This condition has transformed the information and knowledge in the principal resources of any activity, and particularly ICT by a factor of social transformation. Marcelo states that one of the characteristics of the society in which we live has to do precisely with the fact that knowledge is one of the core values of its citizens (Marcelo, 2001). In this context, the value of modern societies is directly related to the educational level of its citizens and the capacity for innovation and entrepreneurship that society possesses. This means that knowledge-based society substantially modify the behavior and conduct of its citizens, as argued by Ayuste, Gros, & Valdivielso (2012), while industrial society was reactive, the knowledge society promote the development of a pro-active participation not only reacts against possible abuses of the state or the market, but proposes alternative models. Therefore, entering the society knowledge will allow access to other levels of welfare and progress. In the knowledge society, the abilities of people are fundamental to move in a world with an abundance of information and where life is organized around the communication. Therefore, digital skills are the key to the inclusion of citizens in the digital age and the knowledge society; also, they need to understand the possibilities offered by ICT as a tool to support creativity and innovation (Gutiérrez & Tyner, 2012). Moreover, the digital divide means that there is a close division between countries and different groups of people who have real access and efficient use of ICT, and as others do not (Bridges, 2001). 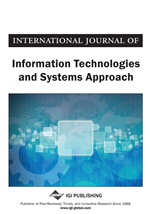 On the other hand, Pliscoff, Ramírez, & Vásquez (2006) consider the digital divide refers to differences in terms of access and ICT skills between different groups in society, and due to its characteristics, have greater access and better management of available technology resources nowadays. Connecting the digital divide is not just to give equal access to ICT for people, but it should also improve the quality of life of people, for example, providing better education. (San Juan-Rivera & Bielma-López, 2010). In addition, San Juan-Rivera & Bielma-López (2010) suggest that if we want to be a competitive country in the knowledge economy, the government should set more emphasis on lag of the technological gap. In this paper, we propose an Interactive Ecosystem of digital literacy in order to propose a new educational paradigm approach to encourage different learning communities, to new technologies of information and communication that allows society in order to be more competitive in the current world and thus shorten the digital divide. The digital ecosystems was introduced by Moore (1993) in 1993 where it is defined as: “an economic community supported by a foundation of interacting organizations and individuals - the organisms of the business world. This economic community produces goods and services of value to customers, who are themselves members of the ecosystem (D’Andra, Ferri, Grifoni, & Guzzo, 2013). According with Chan & West (2006) a digital ecosystem is defined as “an open, loosely coupled, domain clustered, demand-driven, self-organizing agents’ environment, where each specie (actor) is proactive and responsive for its own benefit or profit”. The digital ecosystem concept has been used to describe a variety of concepts in the area of ICT, business and also in the e-learning sector. In the ICT sector the term refers to an existing networking infrastructure on the Internet (Bo, 2009; Briscoe, 2009). Hadzic, Chang, & Dillon (2007) state that digital ecosystem is the dynamic and synergetic complex of digital communities consisting of interconnected, interrelated and interdependent digital species situated in a digital environment that interact as a functional unit and that are linked together through actions, information and transaction flows. In this context, digital ecosystems can be adapted to environments of digital literacy to associate the digital divide. A population can be segmented, and thus, different learning communities can be defined. To alphabetize each learning community, within the ecosystem, there are actors who have the resources to produce digital literacy services.